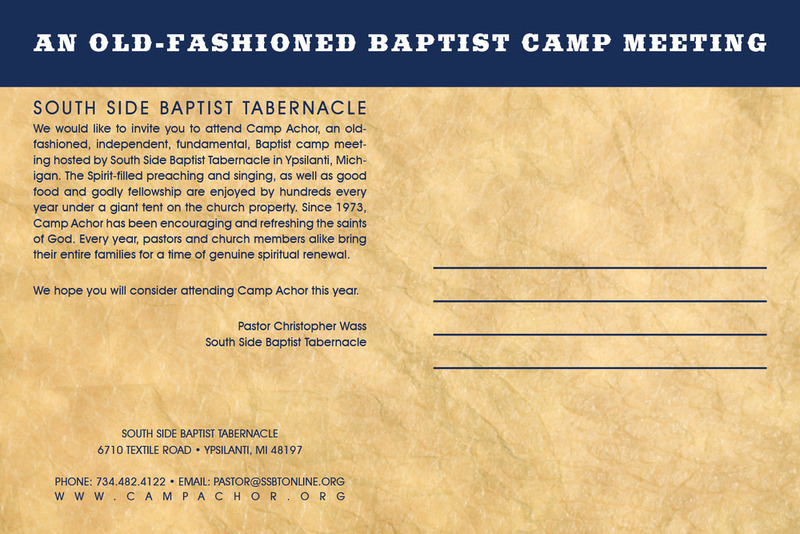 Every year I get the honor of working on a post card for my church, South Side Baptist Tabernacle. We have a camp meeting every summer, have had it for over 40 years. I think this is the 4th year that I have had to come up with a post card and try to come up with something different every year while maintaining the look and feel of what has already been established. The photo on this card was taken during the summer of 2014. The sun was setting as distant storm clouds were rolling in. I had stepped out of the tent to lower the side flaps to protect those inside from the pending storm. The backside features a multi-layer photos featuring wrinkled paper, different clod effects and leather.